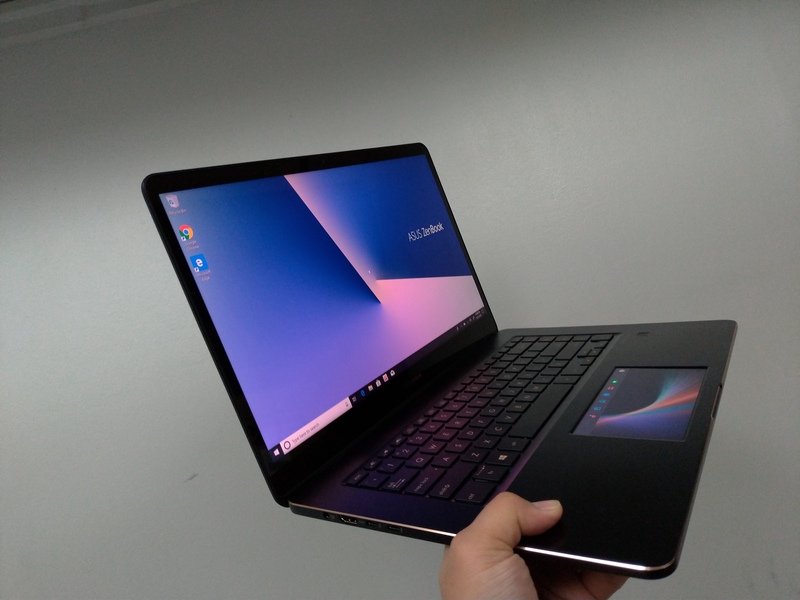 ASUS Zenbook Pro 15 and its secondary screen! When it comes to thin and premium laptops, ASUS Zenbooks have been something to talk about. They are one of the widely chosen business and multimedia laptops next to Dell’s XPS 15 and the Lenovo Yoga 720. 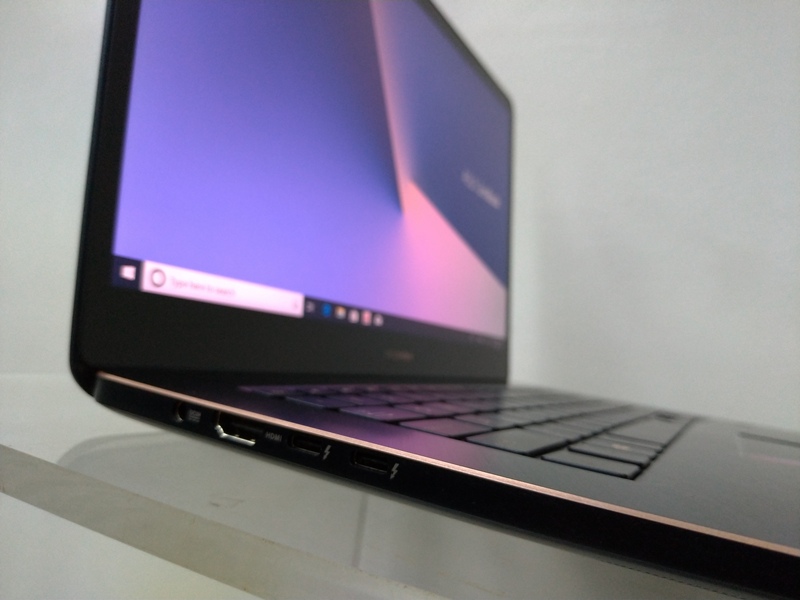 The UX580 is well equipped with a wide-gamut 4K touchscreen and an excellent hardware configuration with the mobile Coffee Lake Core i9 processor, GTX1050ti graphics card, and 512 SSD fast storage and 16 GB RAM. 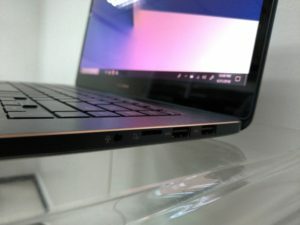 Connectivity options include two USB 3.1 Type-C gen 2, microSD reader, and a combo audio port on the left side facing the screen, while on the right are 2 Type-C (with Thunderbolt 3) and an HDMI 1.4 port. 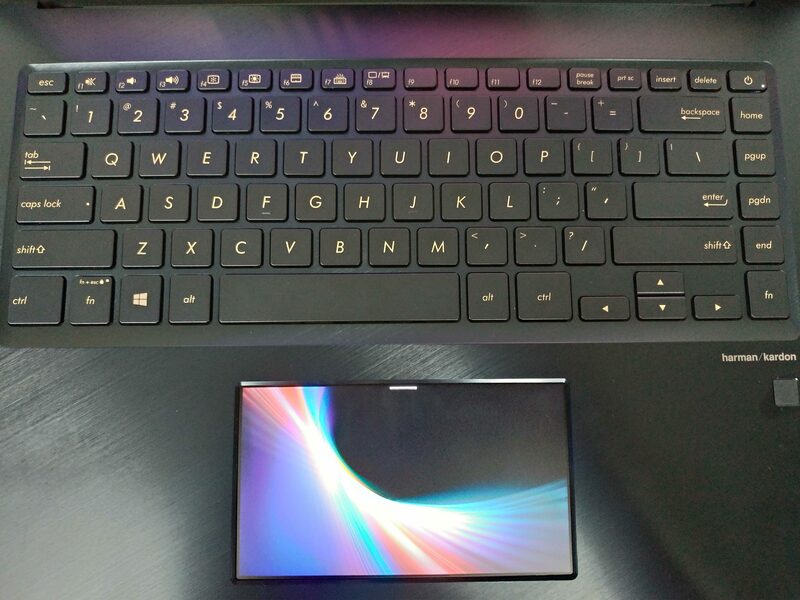 One of the selling points of this entire Zenbook UX580 line is the 5.5-inch LCD placed within the trackpad which ASUS calls the ScreenPad. It can be integrated with multiple widgets and functions. So far, we were able to use it as the NumPad, control Spotify, as a calculator, and even Youtube player! This reminds me of the Macbook’s TouchBar. 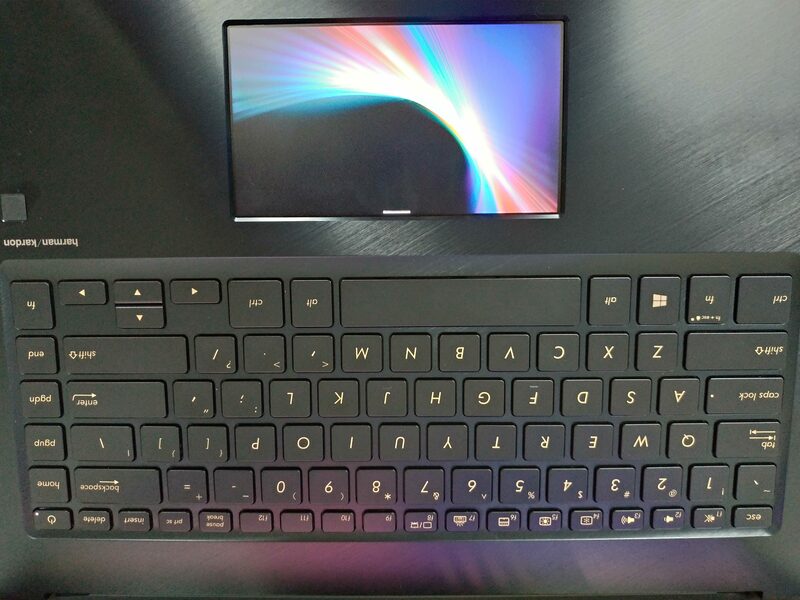 ASUS claims that it can even be used as their secondary display in windows to extend your desktop or watch a movie. We weren’t able to run benchmarks and tests on it, but the UX580GE looks quite promising as a multimedia laptop and would very much come in handy for designers (especially with that ScreenPad and 4K touchscreen display). We did have some difficulty making the trackpad function as an actual mouse, but we hope these are just minor issues that ASUS can fix with drive patches. ASUS ZenBook Pro 15 will be available from June 2018 in all ASUS Concept Stores Nationwide.